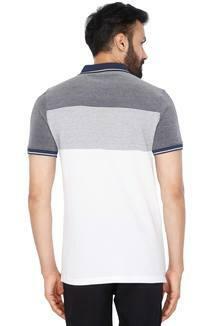 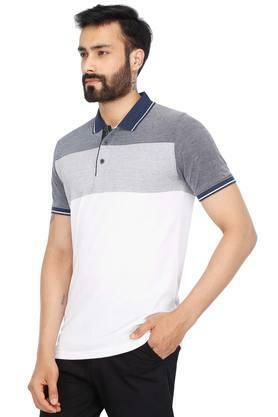 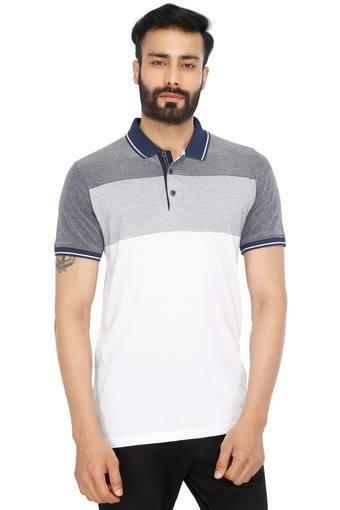 Channel smart looks in your casual wardrobe with this polo t-shirt from Stop. Hook up with comfort and roll with time as you adorn this t-shirt fashioned using good quality fabric. This color block t-shirt will ensure a sturdy design, courtesy its classy short sleeves. Opt for casual simplicity with this polo t-shirt. 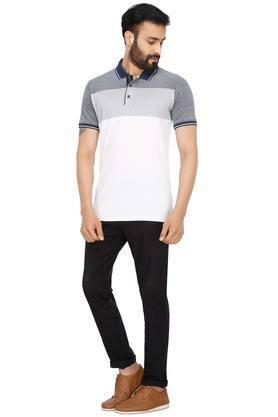 It can be team with denims and sneakers for a stylish look.